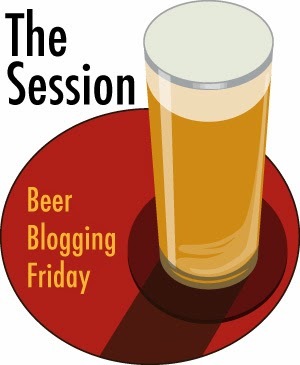 This month's Session is hosted by Gail Ann Williams over on the Beer by BART blog. She wants to know about NEIPAs, North East IPAs or New England if you prefer. Basically they are cloudy, juicy IPAs that are all about the late hopping and then a low flocculation yeast, often from Vermont and made famous by a beer I've never had called Heady Topper. My first experience with a NEIPA was from Cloudwater. 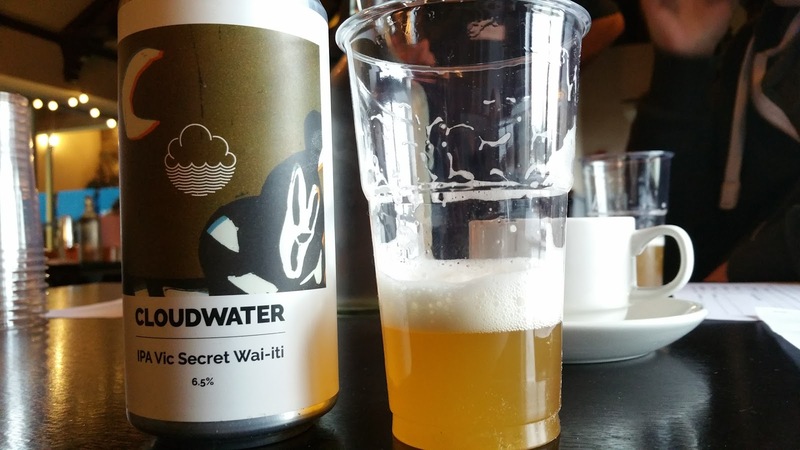 I was judging them for the NHC Nationals and while it's not an official BJCP style, Richard did up a style guide for us to judge to and provided a Cloudwater IPA Vic Secret Wai-Iti as a control. It's murky, tastes like tropical juice without any real bitterness and has a very soft and creamy mouthfeel due to the use of oats. This beer ticked all the boxes. You can read some further thoughts about it here. Personally, I got bored of NEIPAs very fast. The lack of bitterness just annoys me and the fact that they just taste like juice means they get sickly to me. Some of them also look like a glass of bile. I prefer a good American style IPA with bitterness. It doesn't have to be clear but if it doesn't look like Liffey water, that's an added bonus. Oh and happy international beer day!